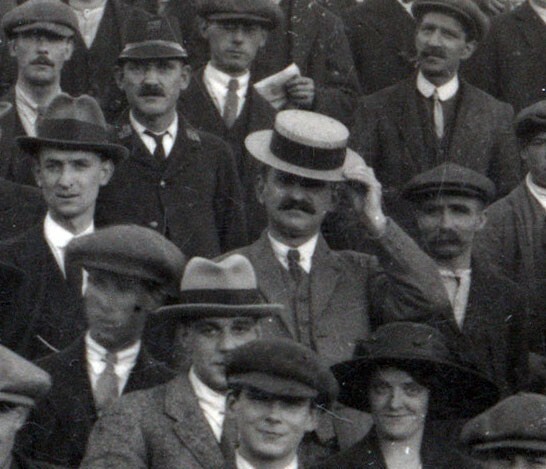 You are here: HomenextTopicsnextSportnextFootballnextBrighton and Hove Albion FCnextWiles Photographer from Hove - "1920 Football Crowd"
Here is a photograph from my collection of the work of the photographers Wiles of Hove. 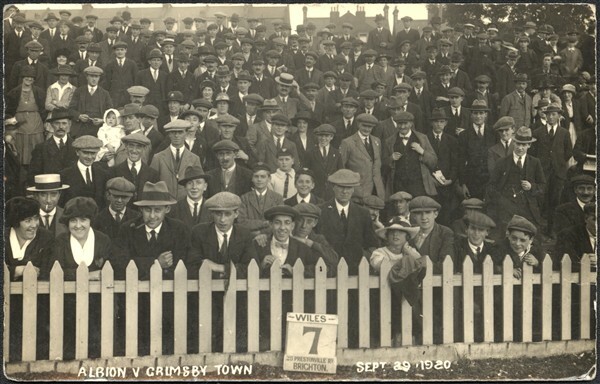 I have several crowd shots from Brighton football matches presumably originally taken to sell to those in the photograph. 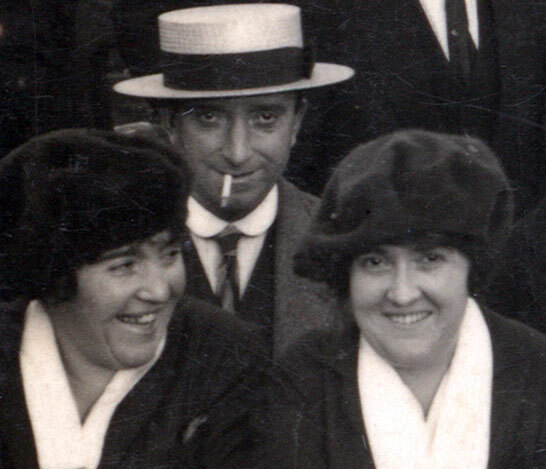 There are some great faces here, and a precise date – September 29th 1920. Click on the thumbnails above for a full sized view of some of the individuals. 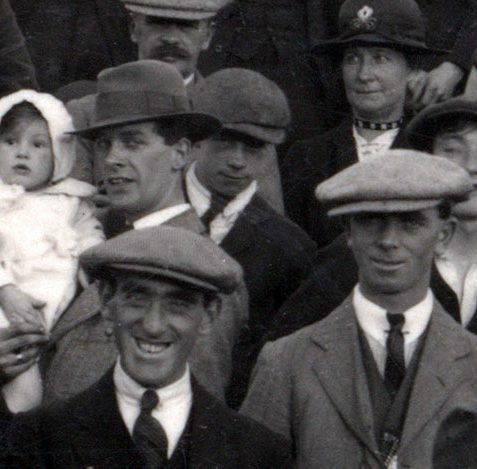 Wouldn’t it be fantastic if someone could spot a relative in the photograph? Please do let us know if you think you recognise anyone. 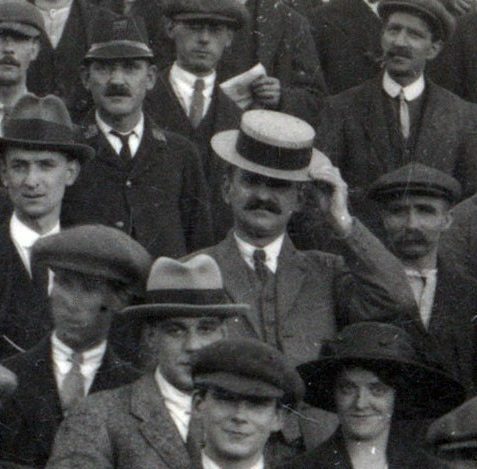 Love the two caps in the front, where can I buy one? 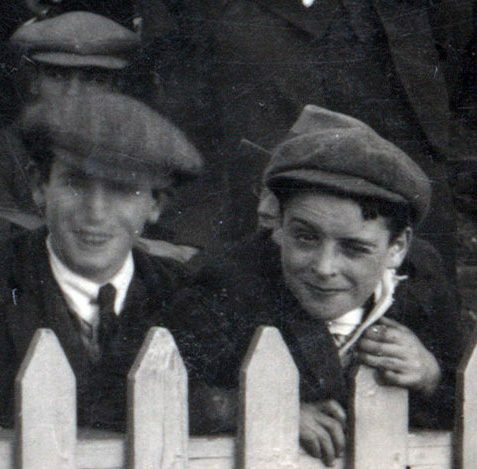 I have a photo similar to this one taken at the Goldstone Ground when the Albion were playing Southampton on October 19, 1912. My grandfather is in the photo in his bus driver’s uniform. 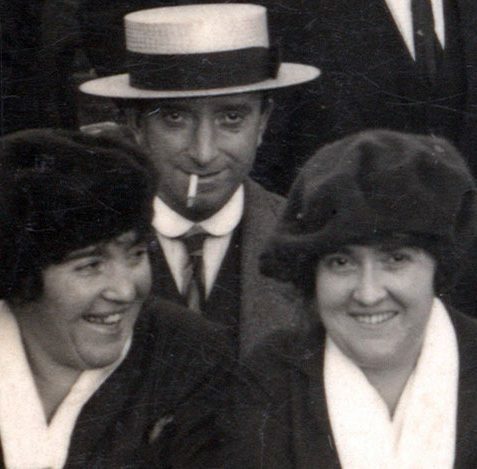 Hi David, I too have a large collection of these postcards and would like to know how many you have and maybe take a look sometime? 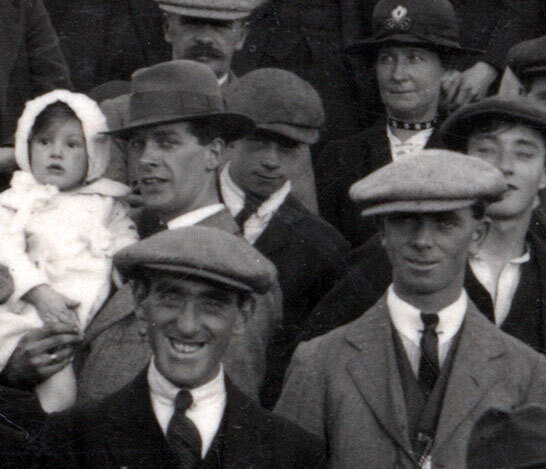 I think the chap in the middle, looking round the shoulder of the fellow with the child, could be my grandfather, Arthur Yeates. 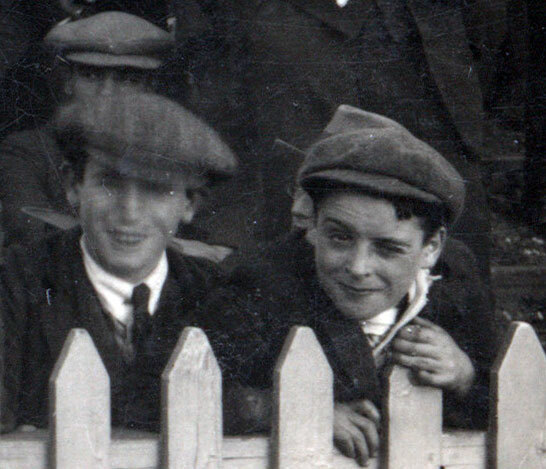 He was a staunch supporter of the Albion.